I can't remember the last time I bought something from a catalog, let alone a six hundred page one, but in 1895 this may be a lady's only way to remain fashionable, if she lived in a rural area. 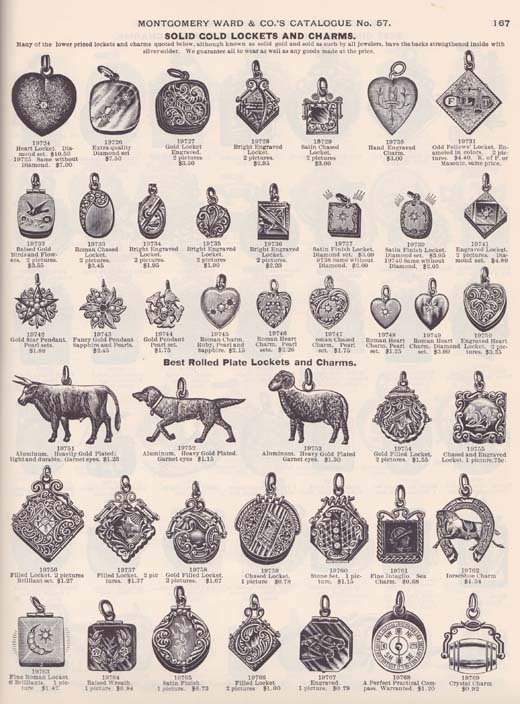 I have been having fun going through a reprint of the Montgomery Ward & Co. Catalogue and Buyer's Guide from Spring & Summer 1895. It's amazing to see some of the items that are for sale and the prices! 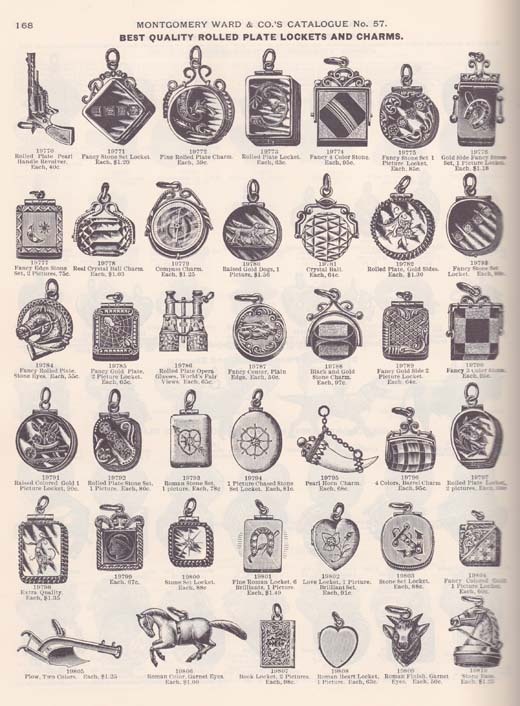 Even in black and white sketches, these pages of lockets and charms have me weak in the knees. Oh, the detail! 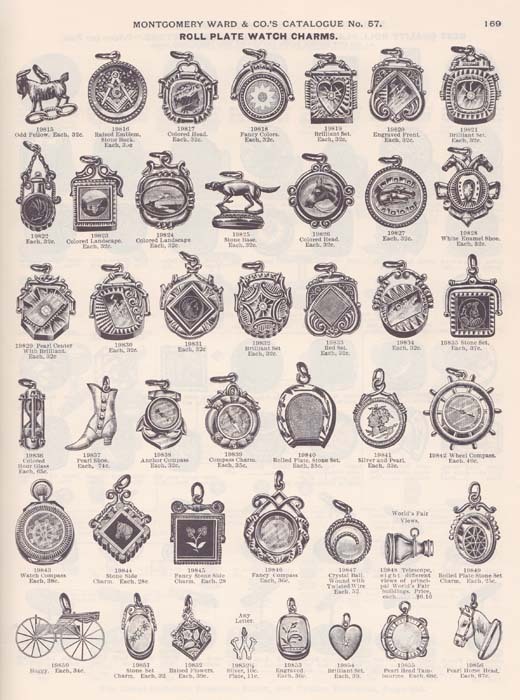 I think I have seen a few of these at flea markets or estate sales over the years. I love this! I hadn't seen your blog till now. It's so cute. I'm so excited to be working with you! !